Those speeds you have are good, but travel outside of the larger cities and the coverage and speed goes down quite a lot, i'm also skeptical about what they do with older stuff, i've only got an S3, so no 4G for me, but, i've never been impressed with 3G to be honest, the phone constantly has some update or another needed, ALL of which are things i don't use, but am not allowed to uninstall even my shift working pattern app i use refused to work the other day, because it needed to update, what happened... i lost a chunk of the screen to adverts in the "upgraded" version !! Last edited by Gunslinger; 14-01-16, 19:20. 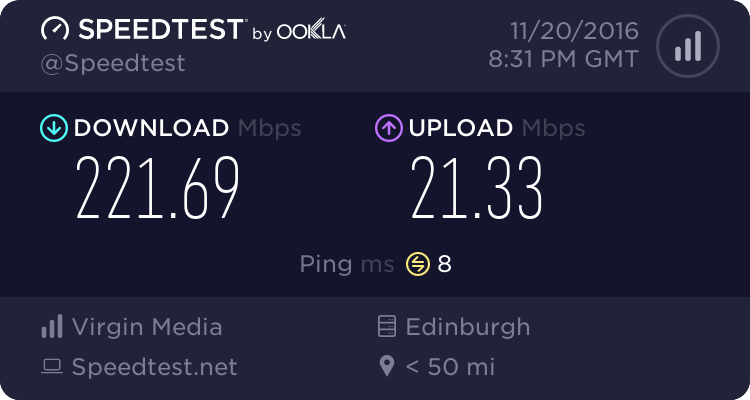 I'm far from any big city though lol in in the west of ireland, farmers country [emoji14] yeah speed was pretty poor before I got a 4g phone it was 7 down and 1 up I think. Dude tell me about it my phone constantly wants updating. I rooted mine to uninstall all the 'bloatware' and system apps I don't use. I don't get a good 4g signal where I live unfortunately. 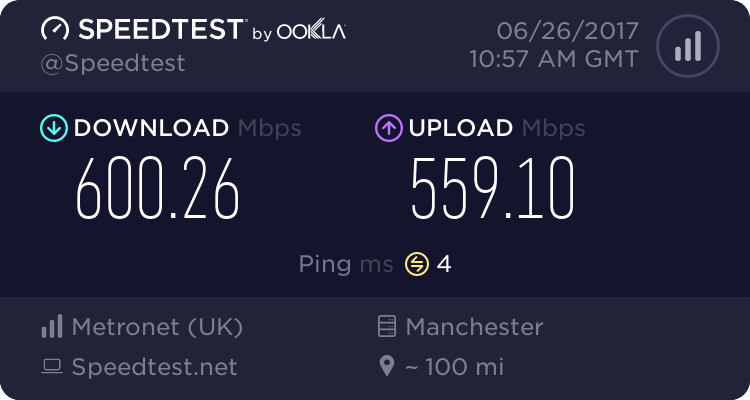 I'd imagine either business leased line, local ISP offering up to GB connections or sat in a a datacentre.. The ISP is a business line provider, so I would assume the former. 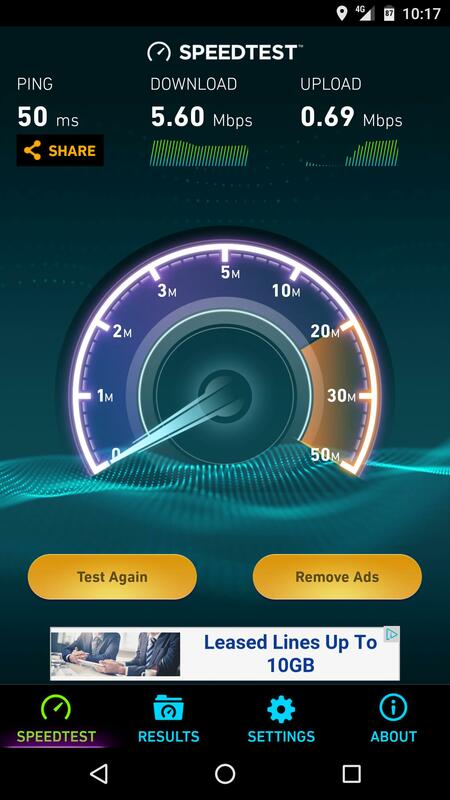 Speeds like that are not unheard of. We're about to get an upgrade to 500/500 on our main non contented fibre line. Last edited by Aaron; 26-06-17, 14:34.